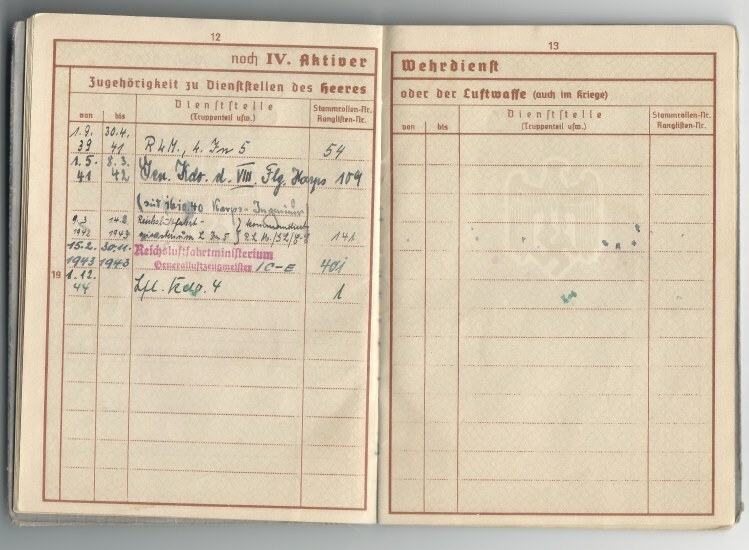 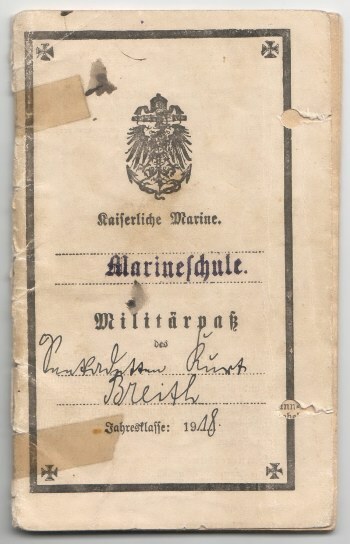 31 March 1900 in Frankenthal (Frankenthal Rheinphalz). 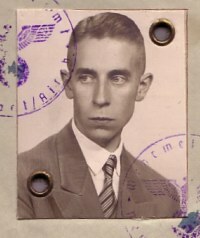 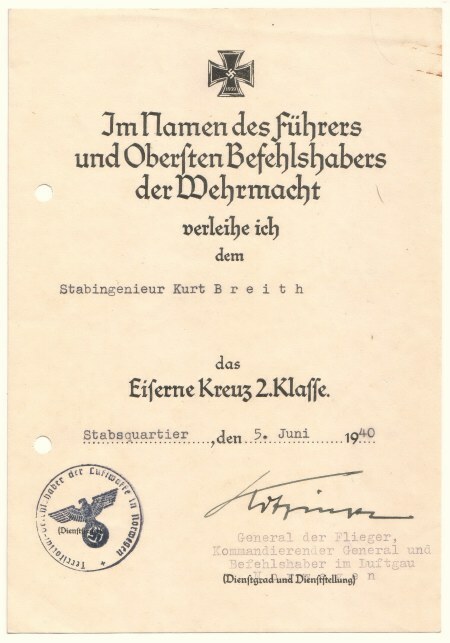 Oberstabingenieur Kurt Breith receives the Bulgarisches Fliegerabzeichen "Adler" (Bulgarian Flyers Badge). 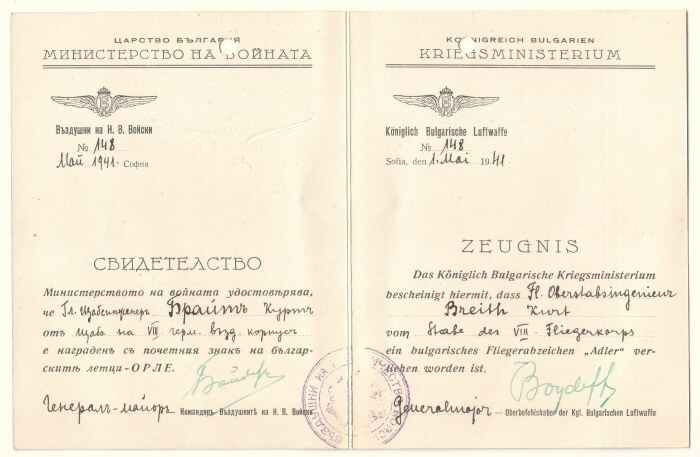 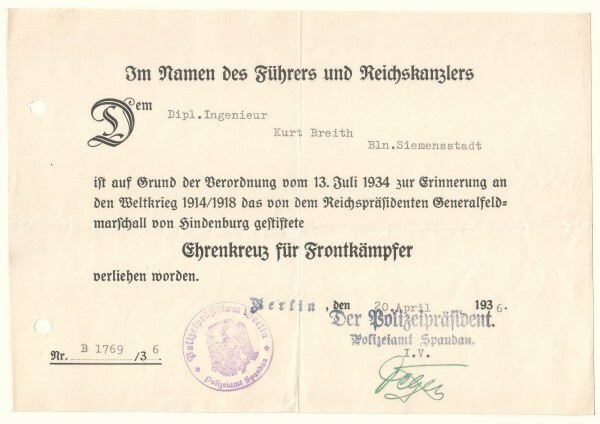 While not a recipient of the Luftwaffe pilots badge this award was rendered for Brieth's service in the Balkan theater. 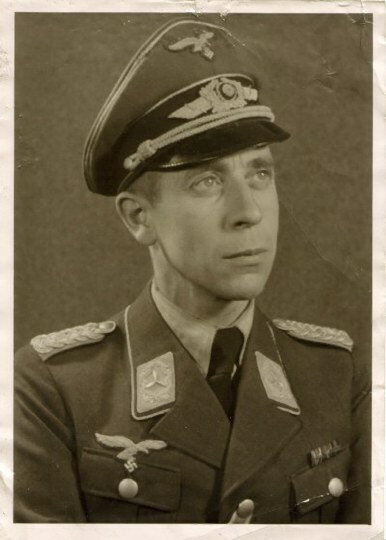 Oberstingenieur Brieth becomes only the 42nd Luftwaffe recipient to receive the Deutsches Kreuz in Silber (German Cross in Silver) in recognition of his advancements in technology for the Luftwaffe. 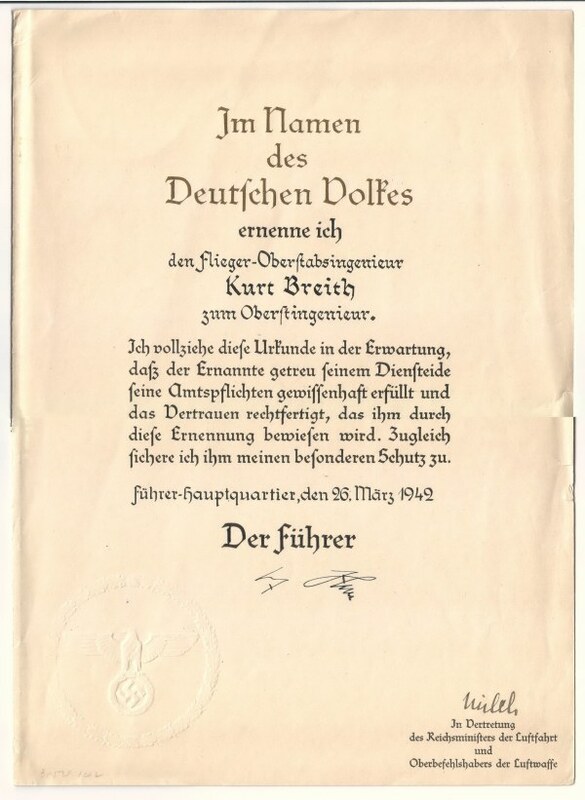 By wars end a total of only 64 members of the Luftwaffe would be awarded this decoration.